If you have not purchased the JBM Streaming Box, please click here. It will change the way you get your entertainment. 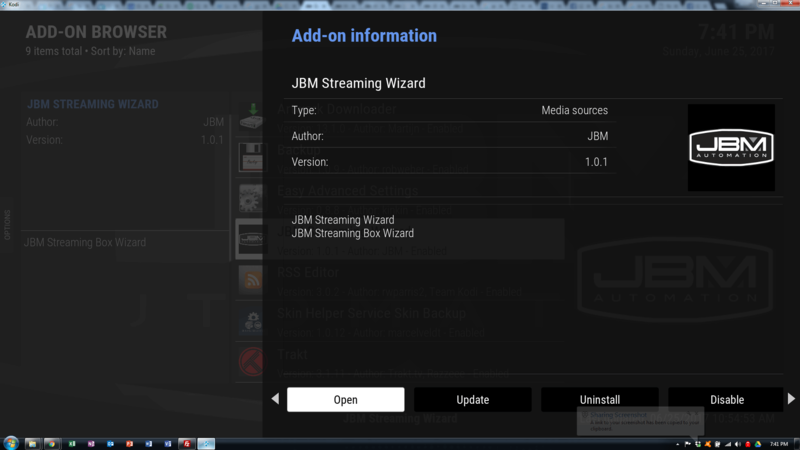 Here are the instructions to add our JBM Streaming Wizard to any device to get our build. Keep in mind, this build is set up to use Furk.net as the only source. To get your Furk.net subscription, click here. With Furk you get all high quality streams, with surround sound (if you device allows it). You can choose to enable free streams if you choose, but we like our streams to work. So we don’t enable them. To see how to enable the free streams click here. Android Users: If you have an Android device like a FireStick, FireTV, iDroidNation, etc we recommend installing SPMC instead of Kodi. We have also noticed that some android devices have trouble playing the high quality streams (Furk, EasyNews) and passing the bitstream for Dolby Digital and DTS. 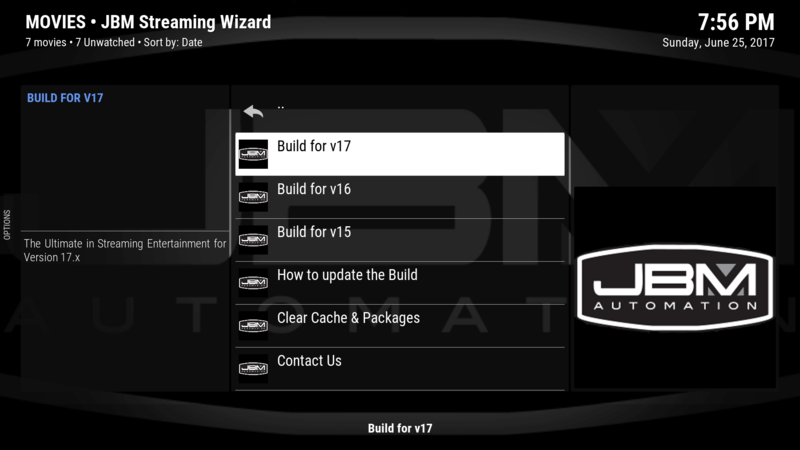 We recommend installing SPMC v15.0 and using our v15 build for all android devices. Select plugin.video.JBMStreamingWizard.zip and wait for the addon enabled notification. 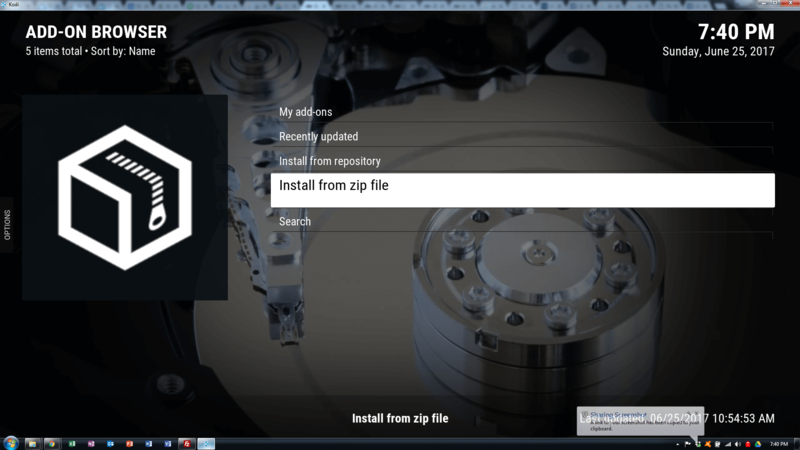 The build will download, extract, and then to try and shut down your device. 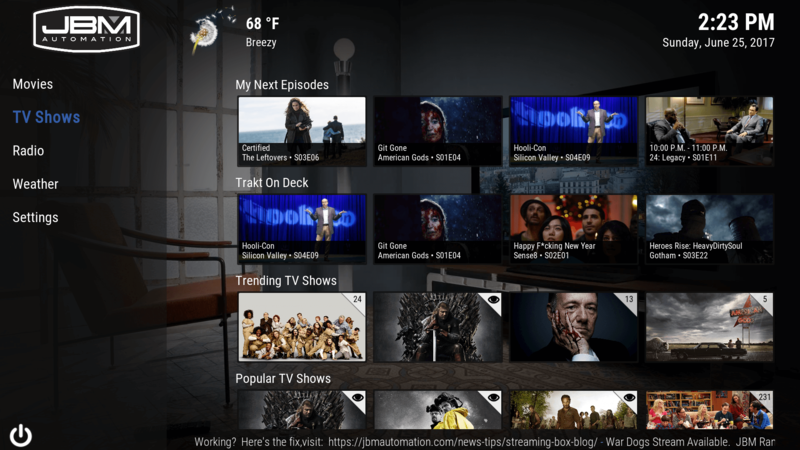 If you have an android device (FireTV, FireStick, iDroidNation, etc) you will need to pull the plug when the count down is over.